Be careful when blaming the carbon tax! 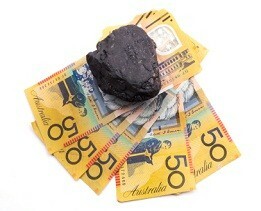 So, the carbon tax is here and the price of goods and services are going up…or are they? Many business owners have assumed that the carbon tax will affect the selling price of their goods and/or services and have hiked up prices – but have they investigated whether this is really the case? The Australian Competition and Consumer Commission (ACCC) are cracking down on those businesses that are using the carbon tax as an excuse to bump up their prices. The Australian Consumer Law clearly states that misleading and false representations and testimonials are an offence and monetary penalties may apply. 2. Not being able to substantiate the increase from $98.00 to $395.00 per kilo for the refrigerant gas. As a result, Equipserve were required to provide a highly embarrassing undertaking to publicly withdraw the comments along with a requirement to engage in an intense compliance program. This may have all been done with a genuine belief that the carbon tax truly was going to have a significant impact upon business, but belief is just not enough when you have the Australian Consumer Law to comply with. No doubt you do not want your business to undergo the scrutiny of the ACCC, which can have such adverse affects upon the reputation of your business. Be sure to seek professional advice in relation to any comments you may make about the impact the carbon tax (or any other issue) may have on your business.